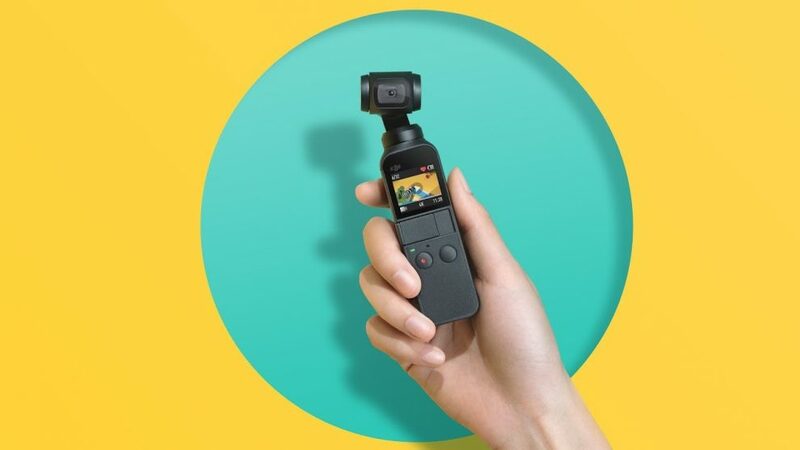 DJI just launched the Osmo Pocket, a pocket-sized camera with 3-axis gimbal that can shoot 4K at 60fps, for $349, less than the GoPro Hero7 Black ($399) and the Insta360 One X ($399). The sample videos look quite impressive and it has a host of features including face tracking. I ordered one and will be comparing it against smartphone and action camera gimbals, as well as stabilized 360 cameras! ActiveTrack– DJI’s image recognition algorithms allow Osmo Pocket to recognize and follow subjects of your choice, perfect for capturing family moments easily with the tap of your finger. Accessory Mount– The accessory mount makes Osmo Pocket compatible with action camera accessories so you’re able to capture your adventure footage, such as when mounted on a helmet, backpack or your wrist. Waiting for 360 pano app that can shoot with this Osmo a bunch of photos to be stitched in one big panorama image. The lense, as I can see, is not so far from the middle, so probably there can be small problem with parallax. The original Osmo could already shoot 180 degrees. It would be nice if they could add a 360 mode. But it doesn’t make 360º panoramic photos, right? pre-ordered!!! wish i could pre-order the accessories too. What kind of storage capacity? If i’ve already got an Insta360 One X, does it worth to have Osmo Pocket as well, or in fact the majority of their functions overlap?? Tried to find some comparisons between these two yet in vain, most are comparing either one of them with GoPro Hero 7. What is your recommendation either to buy Osmo Pocket or Insta 360 One X? Thanks.